CONSTITUTIONAL & PROVIDENTIAL EDUCATION IS KEY TO REGAINING OUR LOST REPUBLIC! Listen to our latest Liberty Watchdog Network Show! The Constitution is in Crisis! Help educate America while promoting your business, church, or group on our coming new Radio Show, website, and 14,000 Fan FaceBook page! Schedule a Lecture or Seminar today! It is time for America to REPENT! THAT WHICH THEY GAVE AN OATH TOO! "The right of civil contracts includes the right of homosexuals to enter into civil unions. But marriage is NOT a civil union. Nor is it merely a civil contract. In fact, real marriage is NOT a civil matter at all. It is a spiritual matter. Civil governments can recognize or not recognize all they want; it doesn’t change the definition of marriage one iota. Civil governments can no more redefine marriage than they can redefine worship or prayer. Marriage is a divine institution. Therefore, it is completely outside the scope and jurisdiction of SCOTUS or any other civil authority." Below is Part of our 101 Constitutional Questions we teach in our class based on over 40 years of Constitutional Research & over 10000 hours of study on legislated usurpation's. QUIZ: Does the Constitution give the Pres authority to write law via executive order or via agency policy??? ANSWER:*** NO! 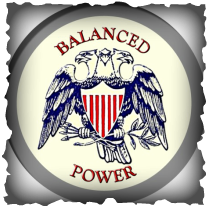 *** ONLY CONGRESS HAS THIS DELEGATED POWER! (so long as ALL law is bound down to Gods Natural Law / The Declaration / Constitution / Bill of Rights = LAW OF THE LAND) This power to write law is stated in Article I Section 8: To make all Laws which shall be necessary and proper for carrying into Execution the foregoing Powers, and all other Powers vested by this Constitution in the Government of the United States, or in any Department or Officer thereof. (NOTE: It says "FOREGOING POWERS", meaning ONLY THOSE WHICH ARE LISTED in Article I section 8....ANY LAW PUT FORTH MUST BE WITHIN THE CONFINES OF GODS NATURAL LAW / THE DECLARATION / CONSTITUTION....What Jefferson referred to as the chains!) NOTE: AGENCIES THUS ARE UNCONSTITUTIONAL TODAY, FOR THEY CIRCUMVENT THIS CLEAR DELEGATED POWER! ANSWER: Constitutionally (ARTICLE I SECTION 8: 17), the Federal government may ONLY acquire land within a state for one of four purposes–forts, arsenals, dock-yards, and Federal buildings—and then ONLY after getting the CONSENT of the State Legislature. There is NO authority for the Federal Government to occupy huge areas of land within a state for national forests, national parks, wilderness areas, wildlife refuge areas, etc. and then only after getting the CONSENT of the State Legislature. The Basis of the Declaration/Constitution is GOD’s Biblical Law? Congress endorsed America’s first printed Bible, the “Aitkens Bible” on September 12, 1782? You live in a REPUBLIC & not a democracy (as the Founders Warned)? We were to ONLY coin money based on God’s money (Article I Section 8; gold & silver)? “Separation of Church and State” is found nowhere in the Constitution & it was never INTENDED to take GOD out of the public square? The U.S. Capital Building was converted to a church every Sunday morning; Jefferson & Madison attended service there? 27 signers of the Declaration of Independence had "seminary" degrees? The Electoral College was to ONLY nominate a President (Usurped by 12th Amendment)? The Constitution is NOT a political document, it is a Sovereign Document; there is deliberately no mention of party within the Declaration or Constitution? Only Congress can write Law, Executive orders do NOT write law? The Federal Reserve is neither federal nor reserve (Statesmen warned us in 1913)? The Founders despised political parties, they warned that it would dilute and bring faction to the Constitution and our God given Liberties (We need Statesmen, NOT politicians)? Congressional declarations actually called for “Christianity” to be “spread all over the Earth”? The Founding Bible of this Nation was the GENEVA Bible, not the King James for a reason? The Bible was a required reading textbook in our public schools? In 1812, President Madison signed a bill aiding the Bible Society of Philadelphia to help mass distribute the Bible? Christians allowed GOD to be kicked out of the public square in 1962 thanks to a usurping Supreme Court ruling making it illegal to pray in school? "It will be of little avail to the people, that the laws are made by men of their own choice, if the laws be so voluminous that they cannot be read, or so incoherent that they cannot be understood;"
﻿Our Ministry is Founded by living relatives of the Founding Fathers and members of the "SAR" (Sons of the American Revolution), a revolutionary lineage society chartered by an Act of the United States Congress on June 9, 1906. Become a truly Empowered Patriot & Defender of our Constitution and gain the needed education on how to help protect our ailing Liberties. Discover “The 28 Constitutional Providential Principles the Founding Fathers said must be perpetuated by every citizen who desires LIBERTY as endowed by GOD (JESUS) our Creator. 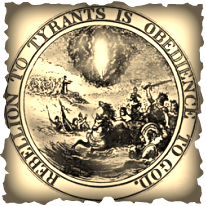 Learn about the Founding Fathers intent on Executive Orders and how many are USURPING! Learn how to utilize “Constitutional Decision Filtering” before voting. "You can't DEFEND what you DON'T know!" Living Relatives of the Founders / Members of the "SAR"
(Sons of the American Revolution) in association with NCCS. To Learn More...JOIN our Ministry and help us Educate America!